Figure 1. Opening Black Marubozu (basic candle). This article describes the Opening Black Marubozu basic candle. The Opening Black Marubozu candle does not have an upper shadow, and its high price is equal to the open price. 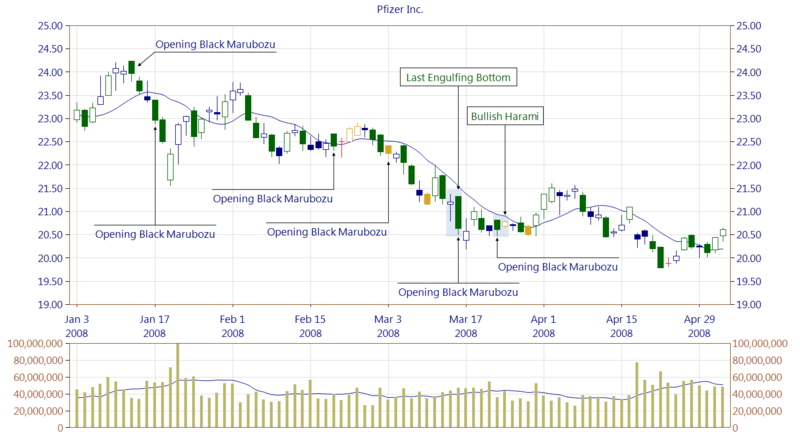 According to Shimizu, Opening Black Marubozu is a bearish candle, either reversal or continuation. In a clear downtrend, the emergence of such a candle preceded by a price gap may predict the acceleration of declines. Another important factor is the length of the lower shadow (note that the shadow cannot be longer than the candle's body). The shorter the shadow is, the more negative the candle's significance. 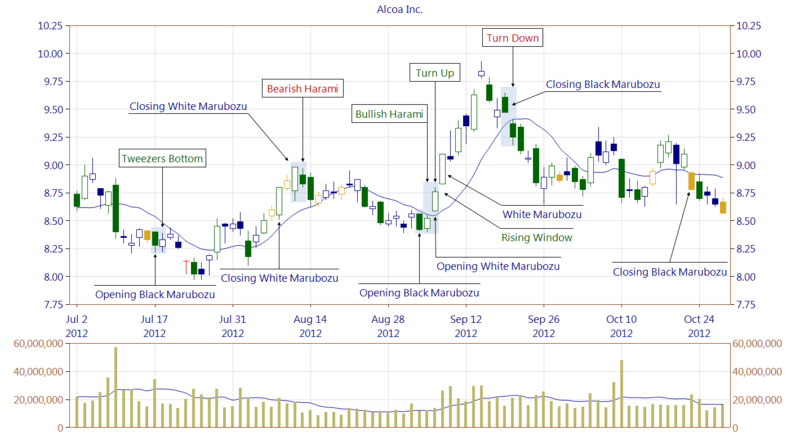 Opening Black Marubozu can also occur within bullish patterns, both continuation and reversal. This candle is very similar to the Bearish Belt Hold pattern, but in Opening Black Marubozu the lower shadow may be longer. Figure 2. Opening Black Marubozu occurring alone and being part of the bullish reversal patterns (Last Engulfing Bottom, Bullish Harami). The chart also shows Opening Black Marubozu appearing on as a short line (candle marked in orange color). Figure 3. The chart shows the Opening Black Marubozu as being part of bullish reversal patterns: Tweezers Bottom and Bullish Harami. 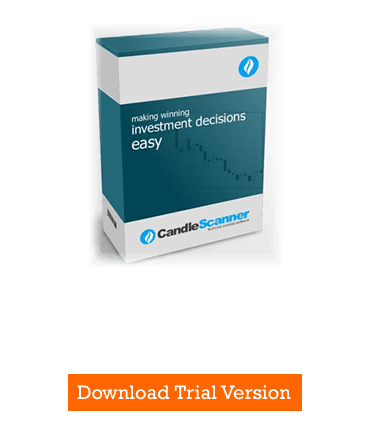 It is important to emphasize that basic candles are not patterns per se and, therefore, can occur in many market contexts, both bullish and bearish. Other types of marubozu candles can be also noticed (Closing White Marubozu, Opening White Marubozu, Closing Black Marubozu).